Stonebriar is a gated community in Northwest Oklahoma, located just to the west of Edmond and to the north of Twin Oaks and Mulholland. 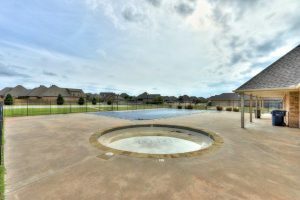 The neighborhood is part of the Edmond school system and close to the Kilpatrick Turnpike, putting residents within a quick drive to the greater Oklahoma City region and all the great amenities within. There are many reasons to look for a home in a small community outside of Oklahoma City, whether it’s to find a quieter area to raise a family or to look at more affordable real estate investments. No matter what your reasons, Stonebriar may just be the community for your new home. Click here to see all homes for sale in Stonebriar. 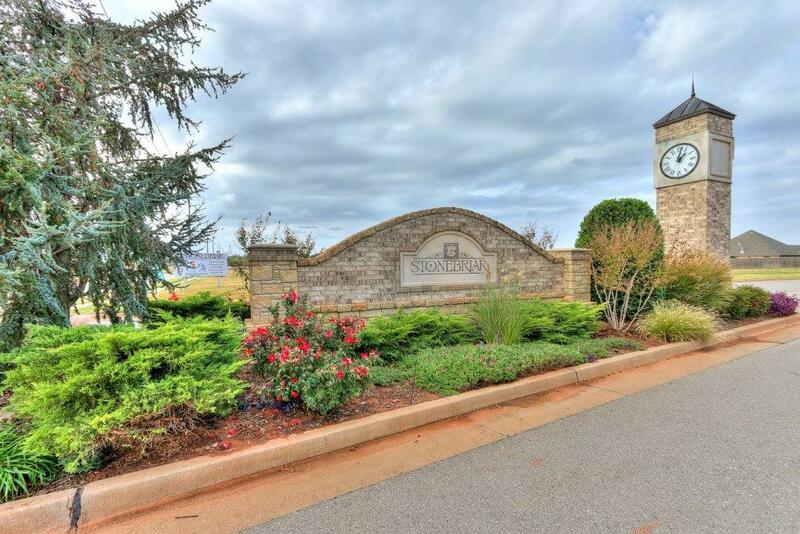 There are many wonderful neighborhoods around the Edmond and Oklahoma City region. Each has its own benefits and will appeal to different people. Some buyers will prefer to buy a condo in the heart of the city while others will want to find a private home as far out as possible. Many first-time buyers are starting to make a different choice: buying in a gated community. Gated communities provide a level of safety and security that can’t be found in other neighborhoods, with home owners feeling protected by the knowledge that only their neighbors will be walking the streets and using the parks and playgrounds. Stonebriar offers affordable homes for young families and first time home buyers where they can enjoy all the advantages of a small suburb without ever having to worry about their family’s safety. Planned communities have the benefit of being very restrictive with the companies they allow to build the new homes inside. This provides the buyer with a lot of added information they can use to their advantage when looking for a new house. Buying an older home in the suburbs has challenges that a new Stonebriar home will not have. Who built the home? How many repairs will be needed in the near future? These are questions that nobody will have when looking at Stonebriar because they will know every home is brand new with top of the line construction and can easily find information on the company responsible for building the house. When a local company stamps their name on a development you can rest easy knowing they have nothing to hide and are resting their reputation on the quality of the home they are building. Quality construction from respected builders is just the start of what Stonebriar homes can offer. The houses that line the beautiful and well landscaped streets vary in size and price, with homes averaging between $300,000 and $400,000 and often hitting the market under $250,000. Many homes are between 2,000 and 3,000 square feet with the larger estates over 3,000 square feet with 3 beds and 3 baths. While Stonebriar takes pride in offering elite living, the variety of floor plans have allowed for smaller homes to be priced on the lower end of the spectrum. Nobody should be priced out of secure living and Stonebriar has done everything possible to accommodate a range of budgets. With open floor plans, exceptional kitchens, master bedrooms and roomy bathrooms, these luxurious houses are sure to please anybody looking for a new home. Stonebriar has some great amenities that are free for homeowners along with some great benefits as part of the home owner association. There is a swimming pool, a clubhouse and half mile walking track so that everybody can remain active in the safety of their own neighborhood. Total lawn care and maintenance is provided so that the entire community will always look as pristine as the day you bought your home. Along with the great Stonebriar amenities, residents are also located just down the street from a major shopping district. This area has major retailers like Wal-Mart next to smaller stores, plenty of food options and necessary services like a bank and pharmacy. Just on the other side of NW 192nd St is a public house and coffee shop, so locals are never anything but a quick walk away from grabbing a drink with friends. Are you looking for a quieter place away from the city but still close enough to enjoy all the benefits and amenities? Do you want to invest in a neighborhood that is clean and secure? 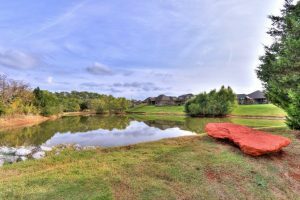 If you are looking for a new place to call home, consider the community of Stonebriar. At The Sikes Team we have helped many Oklahoma City residents relocate to some of the wonderful neighborhoods surrounding the city and we can do the same for you. Contact us today and we can show you some of the great homes available in Stonebriar so you can see firsthand what life in a gated community looks like.